Spike Lee’s BlacKkKlansman is one of 2018’s most important films, with an ending that is at once shocking and all too inevitable. 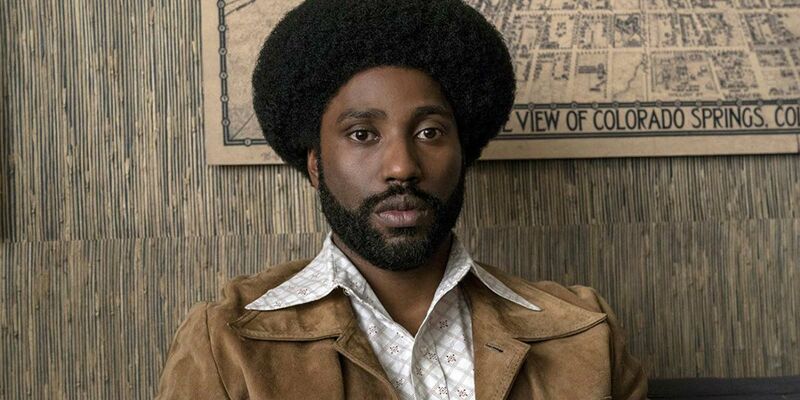 The film follows black Colorado Springs rookie detective Ron Stallworth (John David Washington), who in 1979 accidentally finds himself fronting an investigation into the Ku Klux Klan. 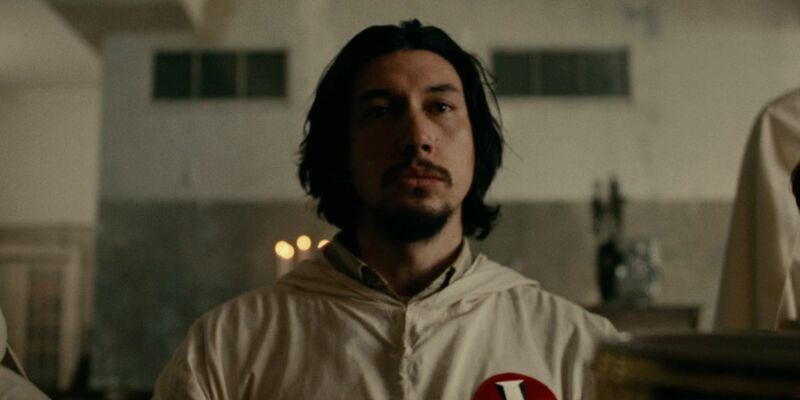 He poses as a white racist on the phone to become part of the “organization“, having partner Flip Zimmerman (Adam Driver) pose for him in real life. With the pair not holding back in their feigned prejudice, the case escalates incredibly quickly: the two-man “Ron Stallworth” rises up the chapter (despite some suspicions) and becomes on close terms with Grand Wizard David Duke, finding information on several military connections within the KKK. The movie’s ending brings both Flip and Ron face-to-face with Duke, as well as showing a failed terrorist attack against a leader of the Black Power Movement, before framing the events of the movie in the context of the current white supremacist movement and the presidency of Donald Trump. Beyond narrative, Lee’s film is a masterclass in emotional contrast: it’s highly comedic yet underpinned by racial hate; it’s an enclosed tale, but one with far-reaching consequences. This is best seen in the ending, which is a tense slow-burned that pulls out anger in the audience, twisting an impossible situation, then flips into unexpected elation before finally ending on a more somber, unclear note. This Page: What Happens At The End Of BlacKkKlansman? 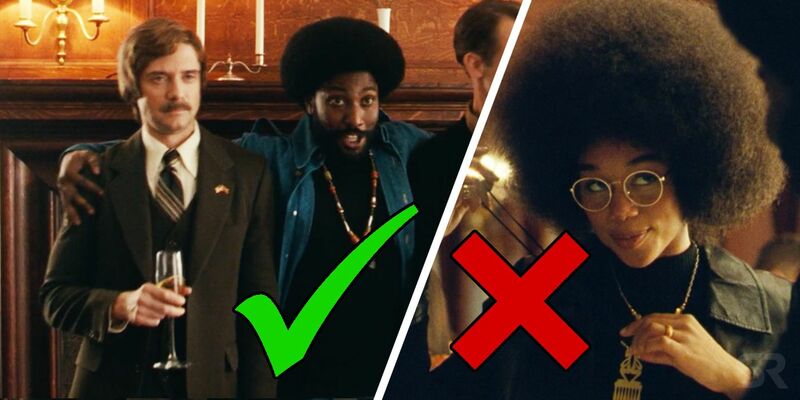 What Happens At The End Of BlacKkKlansman? 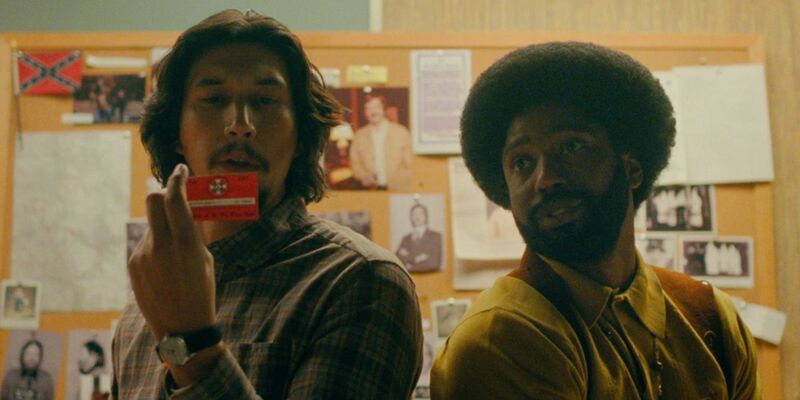 BlacKkKlansman finale takes place on the day of Ron Stallworth’s initiation into the KKK, an event which brings David Duke to Colorado Springs, motivating a protest from the Black Student Union and inspiring some of the KKK chapter’s more radical members to organize a terrorist bombing. Ron is assigned as Duke’s personal security, while Flip is there posing as the racist Ron. Ron’s ceremony goes off without any real hitch, with the group going through the ceremony and watching a screening of Birth of a Nation. At the reception, however, things become fraught. One of the Klansman recognizes Flip from an arrest a few years previous, identifying him as a Jewish cop and allowing Walter to uncover the dual-Ron sting. Ron, meanwhile, plays with Duke, getting Flip to take a photo of them together arm over shoulder. The powderkeg is set to go off, but the three terrorists are pulled away; Ron noticed Walter’s wife, Connie, leave the reception suspiciously and figured out the bomb threat, putting out a call and swarming the event with police. Connie panics and calls her husband who tells her to go to plan B: plant the bomb at the home of Patrice Dumas, president of the black student union and Ron’s real-life girlfriend. Ron races there, but is accosted by cops unaware he’s undercover. The terrorists arrive to blow the house, but Connie planted the bomb by Patrice’s car… which is right next the would-be bombers: it goes off only harming them. Flip then arrives and frees Ron. After the fiasco, the investigation is called off, but not before Ron has one final call with David Duke where he finally reveals the sting. The movie ends with Ron and Patrice together if conflicted by their societally opposing roles before they together address a knock at the door. The film then plays an extended epilogue that takes the Klan from the 1970s to the modern day, calling out the white supremacist riots in Charlottesville and President Donald Trump’s handling of the situation. Why Was The Investigation Shut Down? Fitting of BlacKkKlansman‘s tonal flipping, the elation of Ron and Flip making it out alive is immediately undone by the immediate shutting down of the undercover operation. In theory, it would be fine to continue – nobody living in the organization knows of the sting or Flip’s true identity, and their in-person meeting only served to prove how deep “Ron” was – but the Captain personally shutters it. It’s vaguely handwaved that the failed bombing played a part in the decision, but the implication is that after its initial success, it was deemed too dangerous to continue. The question of where the fear is placed looms large going into the Trump sequence. What Does The Final Shot Mean? 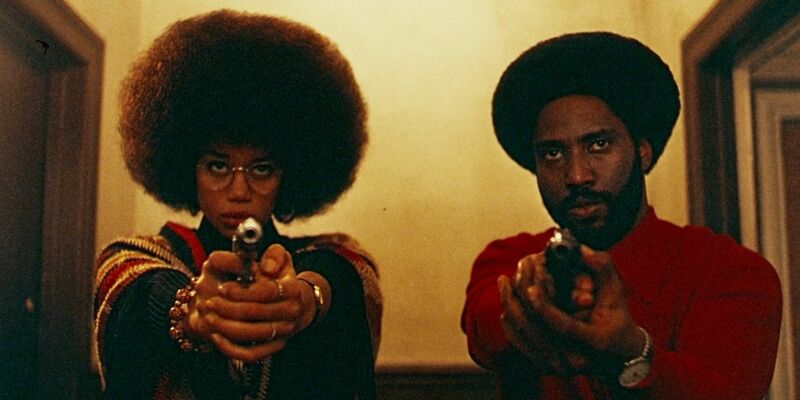 The final scene of BlacKkKlansman (before the Charlottesville coda) sees Ron and Patrice together, both with guns, confront an unknown vistor at the door. After they open, the pair begin to float through the corridor, side-by-side staring just beyond the camera. It’s a slighty-surreal end to the film, and one of its most important images. Since her introduction, Patrice has represented the other side of the fight: Ron is trying to change the police from within, using his little influence to shift focus, while she views all “pigs” with suspicion, believing the entire system needs overhauling. This debate returns in the final scene, with her stating she can’t stay with Ron if he’s still a cop. However, we’re starting to see both sides work together: they managed to catch a racist cop on tape just before, and when confronting the vistor, they stand right alongside each other. BlacKkKlansman‘s concluding note is to not decry either belief, instead positing that the only way forward is for good, like-minded people to work together. While the specifics of approach and verbiage – Ron struggles to even say he wants black equality – may differ between institution and public, the ultimate goal deep down is the same. 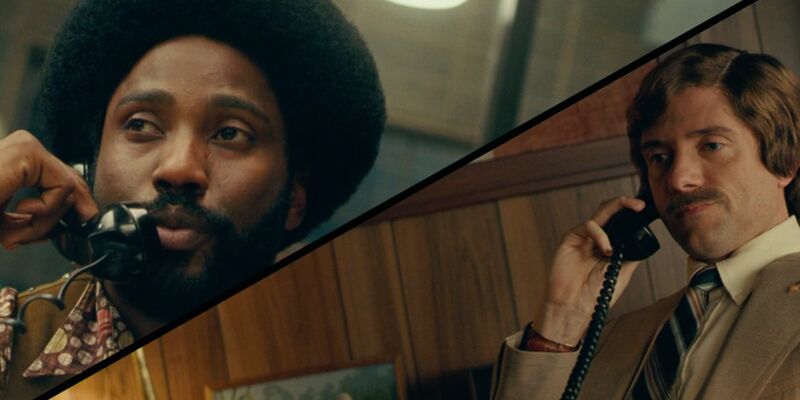 BlacKkKlansman makes a big point of being based on true events, with the script adapted from the real Ron Stallworth’s account from 2014, Black Klansman. And, indeed, not only are the broad strokes of the investigation accurate, so too are unbelievable specifics: Ron did give his name because he never expected things to go further and was once challenged on his voice sounding different. Ron was the first black officer on the Colorado Springs police force, he did go undercover to a Black Power event, and he did get assigned to David Duke as security, even getting a (now lost) photo with him. The investigation, too, had a similar development and outcome, with several high-ranking military officials identified. However, there are several major subplots from BlacKkKlansman that are entirely fictitious. Ron’s white counterpart has only ever been known as Chuck – Flip Zimmerman was made for the movie – and there’s no suggestion he was Jewish. Likewise, Patrice was an amalgam character of black activists, none of whom Ron had a relationship with. And, perhaps most influential plot-wise, the terrorist attack by radical Klan members didn’t happen, although there was the suggestion of planned attacks raised by the investigation. What Happened Next For Ron? The investigation was also called off in a similar, unexpected manner, with Ron and Chuck ceasing all contact and packing up all trace of their Klan involvement. One of the persons of interest raised by the investigation rose up to be a key high-ranking official in the Ku Klux Klan, leaving Stallworth believing that if he’d continued they may have been able to halt him. In real life, Ron never got his final “f*ck you” to David Duke and continued his police career without ever discussing the bizarre events that had occurred (although he did keep the Klan membership card). He eventually broke his silence over three decades later in Black Klansman. One of the more subtle changes to the story, but one with the most profound impact, is Chuck becoming Flip Zimmerman. His Jewish status is a casual question throughout the first half of the film on both the police and Klan sides. Many people assume Flip’s heritage and infer how he must be feeling: he should be directly shaken by the Klan’s worldview, or is perhaps not really what he says he is. This bubbles under the surface for much of the movie until Flip holds the KKK membership card he’s achieved in his hands for the first time. It may not be his name, but seeing a tangible representation of what he’s been doing finally forces him to address his feelings. Zimmerman does have Jewish ancestry but doesn’t identify as such, yet in coming face-to-face with white supremacy is having to address the implications of that; he must confront a Holocaust denier with praise of the mass extermination and lock away a part of himself he didn’t know existed. Whereas Ron’s personal and professional balance of the investigation is implicit from the inception, with Flip the struggle emerges more gradually, representing a key barrier to wider change. BlacKkKlansman isn’t just a story. As its Alec Baldwin, pop culture intro and Charlottesville outro clearly frame, this is happening now in America. The film doesn’t mince words, and through all his changes and focus points – from Ron teaming up with Black Power or his partner becoming Jewish – Lee makes clear the only way to beat the hate is to fight in whatever way possible.